Continue to use the paper chart for all patient visits. Yes, Practices have the option to not implement an Electronic Medical Record System and continue to use paper charts like they always have. Financially is it the best option? It depends on how much of a penalty the practice will have to pay. Will operations and efficiency change? Maybe, they will probably remain the same but eventually start to decline. With the volume of patients increasing, and patients wanting instant access to their records and answers to medical questions, patient satisfaction may begin to slip and small problems of the past may become large problems in the future. Use both, the EMR for day forward patient visits and use the paper chart when reference to historical information before the EMR was implemented. Most practices start the EMR transition with this option first, and it is a good way to ease into having electronic records. All important information is imported into the EMR (vaccines, allergies, some medical history, etc.) and the EMR is used on a day forward basis. If there is a specific piece of information that is not in the EMR during an office visit, the practice can locate the paper chart and reference that piece of information. The practice will be electronic going forward, but they still will have the same issues with maintaining a paper medical record archive that they had previously. Time spent searching for charts, searching for misfiled charts, needing space to store and maintain a paper archive (paper charts need to be kept until the patient’s retention period is up, regardless of what information is on paper and what is in the EMR), and not finding charts. This option is a good starting point, but with time, the practice should consider taking the active paper patient charts, scanning them, and uploading them into the EMR. Scan active patient charts and reference historical information as electronic images in the EMR. Store inactive patient charts and have the ability to scan these charts ‘on demand’ if/when a chart is needed. This is the most cost effective approach to transition to an EMR, convert the paper medical records that are actively being used by the practice, while retaining the inactive paper charts physically. The inactive charts can be stored at the practice or at a record storage facility with the ability to pull, scan, and electronically send a requested chart on demand. All active paper patient information is scanned and the images can be referenced either in the EMR, stored on the practices internal network, or a document management system outside of the EMR. The three options for viewing the electronic images can be chosen by practice, and all three are great ways to host, search, and retrieve scanned patient information. For the inactive patient charts, (each practice has its own definition of active and inactive), it may not be finically possible to scan all their information. But, the records can be stored at a secure, offsite storage facility, and have a patient manifest created (Ex. Box 1 contains these 25 patients). A patient’s chart can be requested by the practice and scanned ‘on demand’ and the scanned patient chart can be delivered to the practice within a few hours or less. This is the most cost effective option, to have active patient charts instantly accessible either in the EMR or an internal network and have inactive charts securely stored physically but can be electronically delivered when requested. Scan all charts into the EMR. No office is 100% paperless, but this is as close as they can get. All patient charts are scanned and accessible within seconds and a few mouse clicks. This option requires the largest investment, but also provides the largest return. There is no paper archive to manage and store, charts cannot be misfiled or lost, all charts can be found within seconds, and charts can be transferred to other practices instantaneously. Going forward, the practice can scan the small amount of paper it will receive from other practices, insurance companies, patients, etc. Converting to an Electronic Medical Record System can be difficult, time consuming, and frustrating, but the records management part of the transition does not have to be. What Should Businesses Do With Their Existing Paper Records? Now that the panic has subsided from the Brooklyn CitiStorage document warehouse fire (even though it shouldn’t) everyone is back in the out of sight, out of mind thinking as it relates to records management. 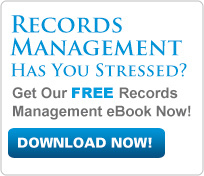 Businesses need to consider what steps to take to create efficiency with their unique records process, and prevent a crisis like this from happening again. Documents in storage should be there only for retention purposes. Certain documents that will have an adverse effect on your business if destroyed should be in an electronic format and backed up. There will always be documents that should be stored rather than scanned. It could be ten year old accounting documents, inactive medical records, closed legal files, terminated employee files… the list goes on and on. If these documents should ever become inaccessible or destroyed unintentionally, the business should be able to function properly without them. No business, other than one with thousands of dollars to spend, would even consider taking boxes of records that no one looks at out of a storage facility and convert them into electronic records that no one will look at. But what does make sense is to convert records that are frequently retrieved and actively used in the office, such as active medical records, employee files, pending legal files, current accounting documents, active customer files, all documents that the business relies on to function. Electronic files are more secure, have audit trails, can limit accessibility, have easy to manage destruction dates, can be viewed by multiple people at different locations, have multiple backups, and are easier to manage than paper files. Everyone has had customers that do not want to pay for products or services that have been delivered to them, but with dozens or hundreds of deliveries per day, it can be a daunting task to track down signed delivery tickets to prove the delivery or service was completed. Instead of looking through thousands of delivery tickets, you can simply search for a specific delivery ticket by customer name, date, or other specific search criteria. Your company can even have the images integrated into your accounting software. Once the documents are electronic, you can instantly see who signed for the delivery or service and email it to their AP department, decreasing your receivables significantly. Unless your company has a fully automated accounts payable processing system (which it most certainly could), the accounting department most likely has the vendor payables and customer receivables in file cabinets organized alphabetically by month or year, depending on volume. Excluding very small accounting departments and businesses, most of these files are going to be accessed by multiple people and possibly from multiple locations. Being able to retrieve frequently accessed documents saves time searching for documents, increases efficiency, and eliminates issues related to lost or mis-filed invoices. Images can be hosted on a cloud based document management system, stored on internal servers, or integrated into the existing accounting software. Human Resource departments are far more complicated than many people in business understand. They can be responsible for payroll, recruitment, benefits, employee relations, employee development, risk management, and many other specialized departments. With all this information being managed by HR, there is a lot of paper that can pile up quickly. 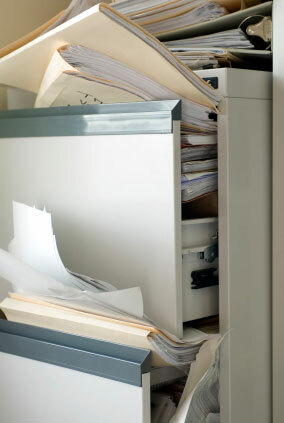 Limiting the access to these documents by keeping them in file cabinets can cause inefficiencies that often go overlooked. Converting paper HR documents to easily accessible electronic images, allows remote and concurrent access, all within seconds, and with increased security and audit trails. With the transition to Electronic Medical Records in full swing, many practices are put in the situation where they have to make a decision on what to do with their paper medical records. They have a few options: they could do nothing, and use the EMR for billing and scheduling only, and continue to use the paper chart for patient notes, they could use both the EMR for day forward progress notes and the paper chart for the historical data, or they can scan the paper chart information into the EMR and centralize their patient care in one location. Doing nothing does not make the most sense; you implemented the EMR for a reason. Using both can be a viable option for a while, but mistakes can be easily made when working from two forms of media. Medications, allergies, or immunizations can be in the EMR and not the paper record or vice versa, and if another practice or the patient calls looking for that information, someone at the practice might not think to check both the EMR and paper chart. Scanning paper records into an EMR allows a smooth transition to comprehensive patient chart management. The images from the paper chart are easily viewed in the EMR, and everything day forward is input directly through the EMR interface. New patients are completely paperless. This solution is most appropriate for active patients with paper records that are frequently accessed. The Recent Brooklyn Document Storage Warehouse Fire, and Many Other Tragedies, Point Out Why Digitizing Paper Documents Should Be Considered. The massive fire last week in Brooklyn’s CitiStorage Document Storage warehouse was not the first time a document storage facility has been destroyed. To name a few, 1997 South Brunswick, NJ, USA, 2006 London, England, 2006 Ottawa, Canada, 2011 Aprilia, Italy, and 2014 Buenos Aires, Argentina. 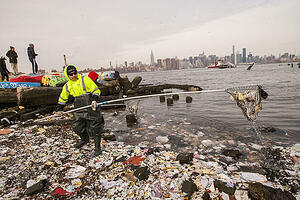 With 1.1 Million Cubic Feet of records potentially destroyed at CitiStorage, including that of legal firms, financial intuitions, medical practices and hospitals (Mount Sinai Health System, New York-Presbyterian Hospital, North Shore-LIJ Health System and NYU Langone Medical Center), accounting firms, and both small and large businesses, the main question is and has been, why have these documents not been converted to electronic images? Aside from the why haven’t records been converted, businesses also have to contemplate what would the cost be to recreate destroyed documents? What would be involved? And what if those records cannot be recreated? What would happen if original blueprints, medical records, legal cases, or financial documents are destroyed with no way of reproducing them? “It’s 2015, why isn’t this information electronic?” many people have asked. Once records are digitized, companies will no longer have to pay for records management services related to document storage. After the documents are scanned, no more costs will be incurred. The electronic images can be on a hard drive, an internal network, or cloud based storage all allowing constant and instant access. On Sunday, 2/1, many New Yorkers woke up to thousands of pages of private and protected information floating along the Williamsburg waterfront and spewing through the air. Not only are the records that hundreds of businesses and government agencies depend on destroyed, the private and protected information of their customers and employee’s was put on full display. Many of these have names, addresses, account numbers, social security numbers, which can be used to easily steal someone’s identity. “About the possibility that confidential patient information might have been disclosed on a large scale as the wind scattered unburned records, Brian Conway, of the Greater New York Hospital Association, said, “There’s no reason to believe that’s a possibility.” Yet in one indication of the city’s concern, the disaster recovery contractors, in their neon yellow jackets, sealed off the entrance to the rocky jetty with yellow caution tape early Sunday and began to scoop documents out of the water with nets and shovels.” – NY Times. The electronic images of scanned documents are more often of a higher quality than the original and much more secure. The entire CitiStorage warehouse could be scanned and stored on a few hard drives, which are much easier to protect, keep organized, and secured than thousands of boxes. Google is Now Offering Free OCR Services for Scanned Documents. Google announced yesterday that there is a new feature available in Google Docs to allow users to import Scanned Documents. The feature, describes as "Convert Text from PDF or image files to Google Docs Documents," allows users to import a Scanned PDF or Image File (JPEG, GIF, or PNG). What OCR Engine is Google using in the Google Docs Platform? The OCR Engine used by Google in this process is not immediately clear. Google does Sponsor an Open Source OCR Engine and Document Analysis Platform called OCRopus, but Google hasn't publicly acknowledged that this is the technology being used by any of their services, including Google Books or the new Google Docs OCR Functionality. Does Google Docs OCR Work with TIF Files? During our testing, we noticed that the OCR functionality didn't work for one of the most standard image formats that we find clients using, TIF Images. TIF, or TIFF (Tagged Image File Format), Images are widely considered an Industry Standard for Scanning Paper Documents, so I found the absence of this functionality to be a surprising. For those looking to convert TIF images, you may want to use Adobe Acrobat or another utility to convert TIF files to PDF, or check out ABBYY FineReader Online. For organizations looking to convert large volumes of information, I would recommend using an alternate document capture software for converting your images to OCR. How Well does Google Docs OCR work? The technology is still a bit new, as it was only released yesterday, but ars technica did some testing and was nice enough to summarize their experiences. Their results were about the same as the results we experienced during our testing, and they summarized their findings: "There are still cases where this OCR would be better than nothing." Not quite the ringing endorsement that you'd hope to see attached to a Google Service, but the offering is still new. Because of the way the import mechanism is configured, Google Docs OCR may not be the best document scanning solution for every business case, especially if you're looking to convert a large volume of paper documents to digital images. For ad-hoc, low volume OCR requirements however, the Google Docs OCR functionality serves as a solid utility for converting paper into useable text. Have you tried the Google Docs OCR tool yet? What have your experiences been? Have you had better success with other services or software? Share your experiences in the Comments! There are so many specific business applications for Document Scanning and Document Management that it's a challenge to share all of them, but one application - Proof Of Delivery - continually stands out as an outstanding value for clients. Not all Scanning Applications make fiscal sense or improve Customer Service, but Proof of Delivery is different. Creation of Delivery Ticket/Bill of Lading - When coordinating a Delivery, a vendor will create a Delivery Ticket or Bill of Lading to accompany the shipment. In an ideal scenario, these tickets will be printed with a Barcoded Ticket Number to help eliminate any manual data entry later on in the process. Delivery of Goods and/or Services - Vendor will deliver goods and/or provide services to a client and obtain a signature on a Bill of Lading or Proof of Delivery document as evidence that the transaction was completed. Vendor Scans Proof of Delivery Documents - With modern document capture software and today's affordable Scanners, Vendors can easily scan tickets and read the Barcode information to provide a quick lookup to that specific ticket number when a request is made. Additional information, such as Customer Name, Transaction Date, Branch Code, or Plant Code, can be obtained via ODBC Lookup, eliminating the need for any additional keystrokes. Once the process is complete, the Documents are then placed into a Document Management Software application, such as OnBase or PaperVision Enterprise. From there, clients can be provided with direct access to review their completed POD's and search for transaction history and Internal Customer Service Representatives can quickly and easily field any questions or requests relating to Transactions. This is particularly useful for Collections staff looking to accelerate the payment cycle, as they're now able to quickly and effortlessly provide a record of the transaction and request prompt remittance of any required payment. For clients that are processing higher volumes, there is also the option to leverage outsourced Proof of Delivery Scanning to even further reduce the costs associated with the process. In the outsourced scenario, completed delivery tickets can be sent to a third party vendor for scanning and posted to a hosted Document Management repository (ImageSilo or OnBase Online, for example) for web-based access by either external clients or internal staff. In addition, advancements in integration technology from Providers such as Hyland Software and their Application Enabler utility have made it easy to integrate scanned tickets directly with ERP or Accounting Systems. This provides real-time access to Delivery Tickets directly from screens in systems like SAP, Oracle, or any other Line of Business application, even further increasing the ROI of Proof of Delivery Scanning. If you're currently delivering goods and services and you're not scanning your Proof of Delivery Documents or Bill of Lading files, you need to take the time to at least explore these solutions. The investment required is far less than the cost of not getting paid for a delivery or service because of poor documentation, and the reduced operating costs provided by immediate action can save thousands of dollars in labor each month. The following Guest Post is written by Rob Basso, President of Advantage Payroll Services, Long Island's Payroll Leader. In addition, Rob is also the Host and CEO of Basso on Business, a leading monthly business video program. The program highlights innovative local businesses and helps visionary entrepreneurs overcome real-world challenges to grow their busines. Shoreline is proud to be both a client of Advantage Payroll and a Sponsor of Basso on Business, and thankful to Rob for sharing his time with our readers. The press Steve Jobs and Apple have been receiving lately is not accidental and they are not lucky. They have just trumped Microsoft, their arch rival, as the largest software and technology firm in the world. I am not a Mac user, in fact, I have exclusively been a PC user for years and even divested myself of my iPhone because I was so used to my Blackberry. However, it is hard not to pay attention to them and maybe give them a second chance. But why is that the case? They have done a superior job making users part of a community. Yes, they spend a ton on research/development as well as advertising, but their ingenuity and ability to make people feel part of something is really their strong suit. Think about it; do you really need an application that simulates nose hair trimming (that may exist I did not check, but you get my point)? Apple was popular with the underdogs and underground users for years; now they are the darling of the populous. You too can be like Apple. As a small business owner you can use the same techniques that the multi-billion dollar giant used to become the premier brand on the planet. Maybe you will not be known in every nook and cranny of the world, but you can be relevant in the community or market you serve by making people feel like a part of something bigger than themselves. Creating this type of a connection with your audience/buyer/client can be done on a budget and successfully by any type of business. It is not what you do, but why you do it that inspires people to buy whatever it is that you are offering. If you talk about what you believe in and focus on the WHY you will create momentum that will make it impossible for people to buy from another vendor. The proof is clear when I use the Basso On Business concept as an example. "Basso On Businesses, Inc. and its products and services will serve to inspire growth and positive change in the national business community. It will focus on forging a strong community of like minded businesses leaders to assist all entrepreneurs in navigating their way to success. Using unique web video, television, interactive live events, social media, speaking engagements and books we will be the leading force in building better businesses." Putting the why first and BELIEVING in your message makes all the difference. Take a critical look at your WHY and re-craft your personal and business mantra....sales will soar. The amount of Paper in the average office continues to grow by 20% to 30% each year, and Offsite Document Storage is often required for companies that have either outgrown their existing space, or have too many files to efficiently manage in their current configuration. No matter what type of company you have it is increasingly important to adequately plan for the proper storage, retrieval and purging of documents. Now is the best time to consider putting a good records management policy into effect, and for most small and mid-sized firms, a good records management policy should include the use of a qualified records management partner. But how do you know who to work with? 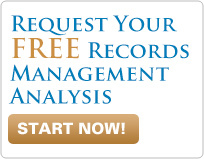 Experience with records management - Experience can make a world of difference when choosing a Partner. Working with the right company can help you avoid many of the common challenges and pitfalls experienced during a Record Storage Project. Knowledge of business practices - The most effective Records Management companies will be able to understand not only the business of storing and retrieving information, but will also understand how you will use this information on an ongoing basis. This helps to make the relationship work more seamlessly. Keep in mind that the Partner you choose will be an extension of your resources - they're going to have all of your information! Ability to provide prompt service - There seems to be a predisposition to slow, plodding service for many Record Storage Companies, and there really is no need for this. Next-Business Day Services should be the standard, and it's important to inquire about Scan-On-Demand services to ensure that you can access your files within hours if and when such a requirement arises. Affordable pricing - One of the most common complaints about Record and Document Storage Partners from Clients is the feeling of being Nickel-and-Dimed for every little service. Take caution to look not only at the price but the measure of quantity. For example, some firms actually charge based on the Cubic Foot, not just on the price per Box. Also, be aware of any ancillary charges such as Fuel Surcharges or Account Administration Fees. Both of these are a sure sign of a company that doesn't really have your best interest in mind and is simply looking to pass along any cost that they can to you, the client. Contract Flexibility - Long-Term Contracts can mean big trouble, so be careful when considering them. Record Storage Contracts often have Permanent Removal Charges or Hostage Fees built into them and can be very difficult to break. To make matters worse these contracts many times will also have Automatic-Renewal Clauses which make them difficult to ever escape. Be careful if you see these clauses - after all, shouldn't your Records Management Partner have to earn your business with quality service like everyone else? A records management partner should work with you to determine your records management needs and not be able to make a recommendation immediately. Beware of anyone who tells you that they understand what you need before you even explain your situation. Every company is different and their needs vary. There is no one plan that is right for every business. A good records management partner will help find the solutions that will make sense for your company. They will help find not only short-term solution for document storage but also a future plan to keep your company running smoothly for years to come. Imagine, if you will, a company with a perfect business model. For the sake of being specific, let's imagine a company that makes those little paper umbrellas that are served in tropically-themed drinks. In addition to making the best possible companion for a poolside cocktail, this company has found the best leadership, has the most sound and profitable business plan, and has its coffers full of capital from willing and wealthy paper-umbrella-enthusiast investors. It has a large clientele already in place in the form of bars and resorts. It owns two warehouses on both coasts, and has worked out wildly lucrative deals with their suppliers. They have a successful e-commerce platform, are scoring number one in web searches related to paper drink umbrellas, receiving well over a million hits per year. Their employees are satisfied and happy with their pay and their pension, and the company is about to go public and expand to the competitive and profitable world of the international paper-umbrella business. Investors could not be happier. Jim Cramer (the Mad Money guy) is yelling at you at the top of his lungs through the TV set, telling you to Buy, Buy, Buy! Nothing could possibly be going any better for this company. Except for one little thing: the founder of the company was strangely averse to filing and hanging on to documents. As a quick fix, he found an empty room on the third floor of the office, painted the walls black, and simply dumped all of the company's records in the room. Whenever a record was created, it was unceremoniously dumped into this room, never to be seen again. When it became impossible to access the room from normal means, the founder had a system of tubes installed so that employees could dump their records into the room without needing to open the door. So, as the company expanded, the room kept filling up. Every time an invoice was created to order products from a supplier, it was dumped in the room. Every time a contract was signed or drawn up, the copies were thrown down the tubes. Every time the customer made a purchase from the company's website, the receipt was sent down to the room, never again to see the light of day. Still, this minor bit of oversight couldn't hurt the company, right? The fundamentals and the statistics were simply too sound. It could afford to look the other way on such a petty issue as records management and still maintain its expansive success. 1. The business can be the subject of a government audit: There are many laws and statutes that regulate what types of records an organization or business must keep. If a business fails to meet these standards, the resulting fees and penalties can undermine the value of favorable earnings statements. 2. The company's headquarters can become inaccessible: Due to a malfunction in the paper-umbrella manufacturing process, the offices may become inaccessible for weeks or months at a time. Because all of the records of the company were stashed on the floor of this room, and there were no tracking systems in place, the company isn't able to reconcile its debts or track its customers or shipments, resulting in decreased efficiency and poor customer service. 3. The business can be sued: If an angry customer who has nearly choked to death on a paper umbrella sues this company, and this company cannot produce proper evidence of waivers, disclaimers, company policy notices and proof of insurance, the company may lose a major lawsuit and be forced to pay settlements that they otherwise may have avoided. 4. The business can waste money buying new space for the files: If the first file room fills up, the business will need to rent a second, and a third, and a fourth, and so on, all the while spending more and more money per month on costly rent for the office space. The business does not have an individual assigned to decide an expiry date for the documents, so they continue to pile up, with no end in sight. 5. Inefficient Access can Create Customer Service Issues: Without any proper Records Management, the company's employees spend enormous chunks of their time searching for the proper points of reference and critical files. Thousands of potentially valuable man hours are thrown down the drain. So, as demonstrated in the points above, even though this company had the perfect business model, the best employees, and the largest customer base, it can easily experience growing pains on those five (and many more) counts. The seemingly mundane and tedious chore of keeping the records was neglected in favor of lower short-term costs, and this company is now paying the price. This should illustrate to you the importance of establishing, maintaining, and enforcing an effective Records Management strategy. Shoreline Records Management's blog highlights the latest in Document Management and Records Management - Document Scanning, Document Storage, Enterprise Content Management, and General Filing Tips and Advice.